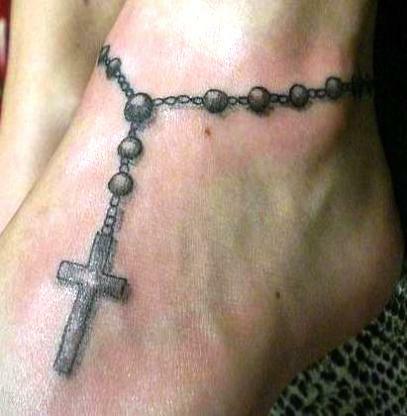 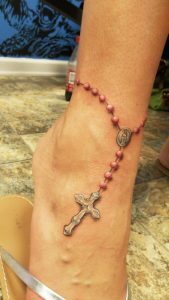 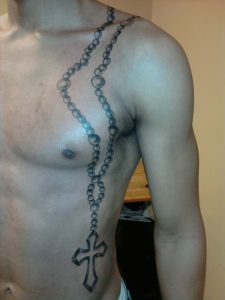 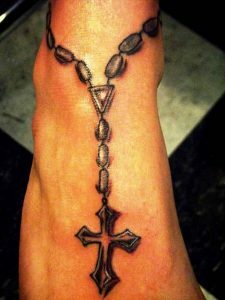 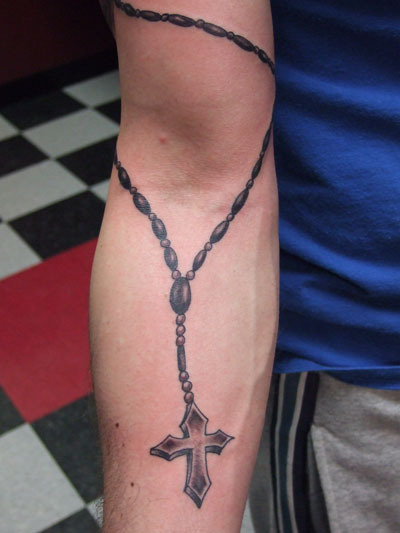 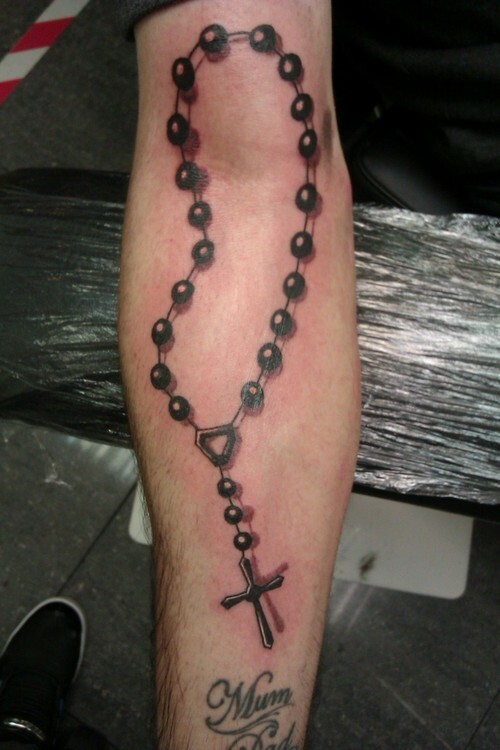 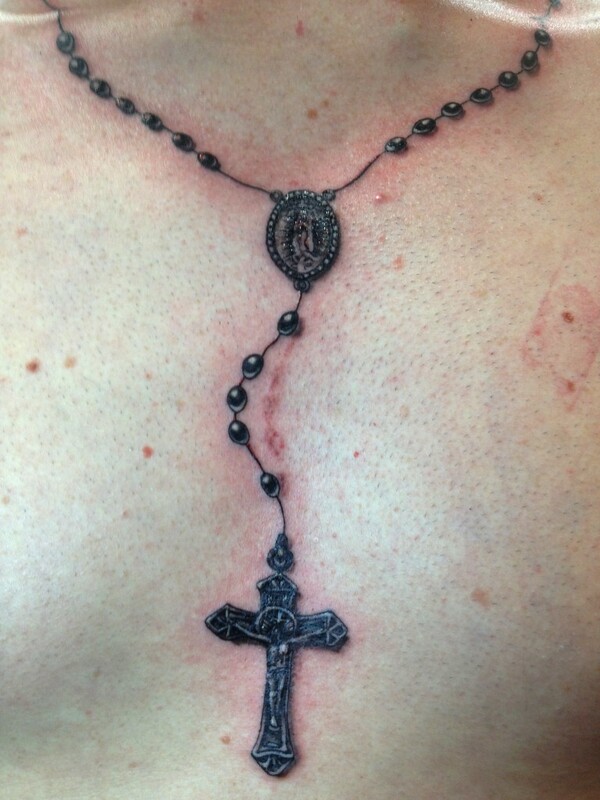 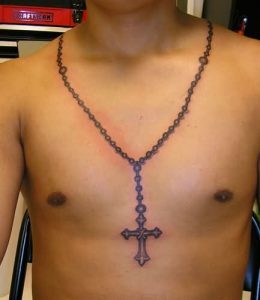 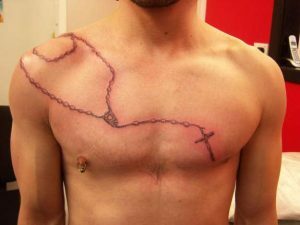 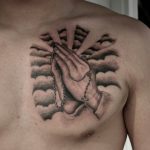 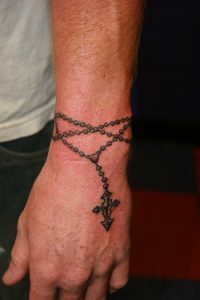 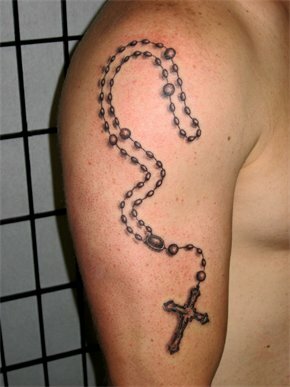 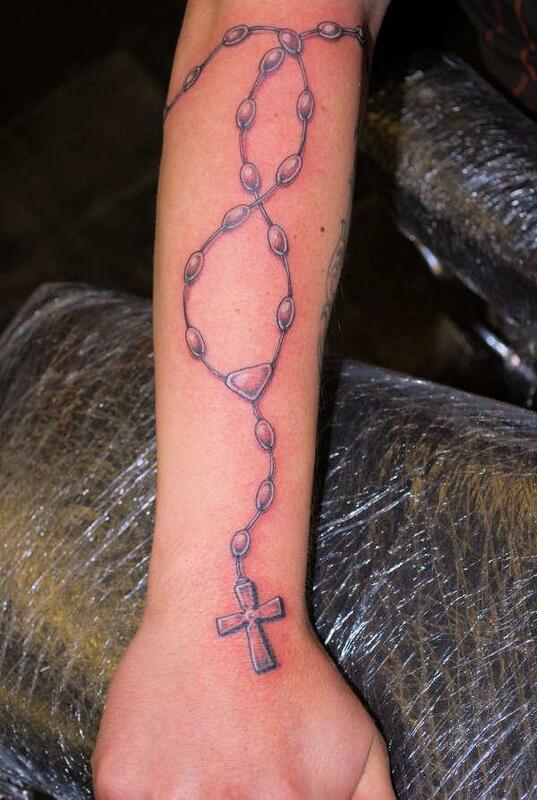 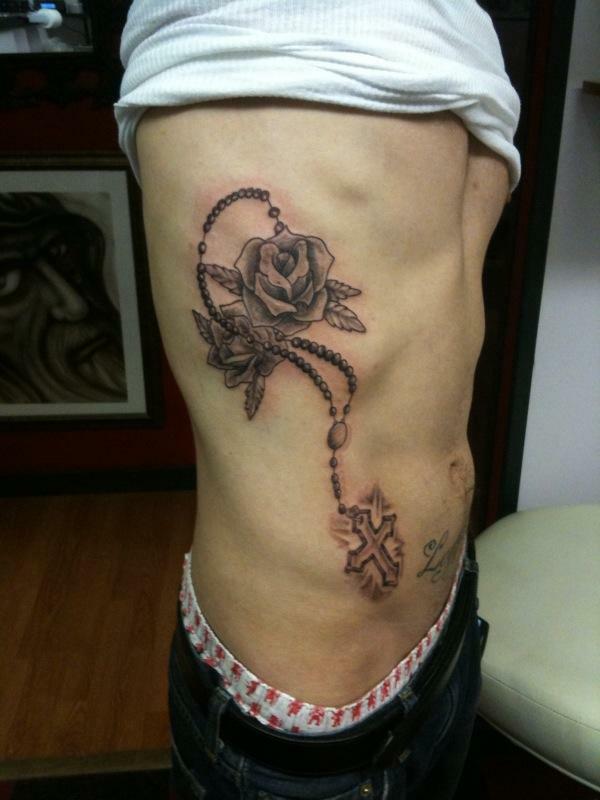 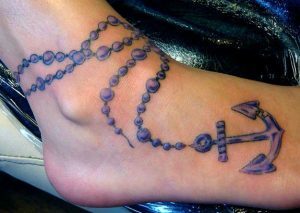 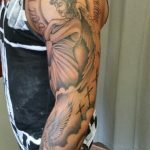 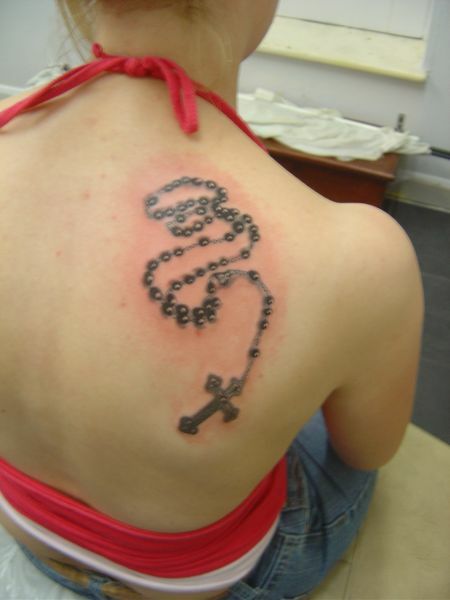 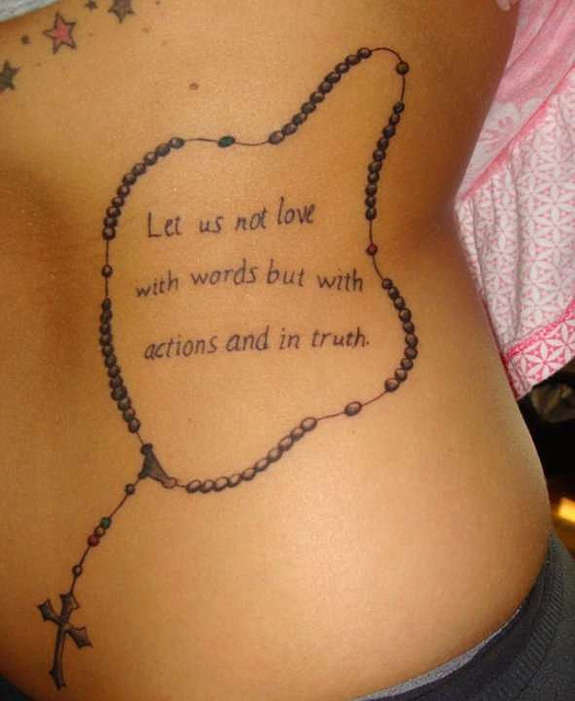 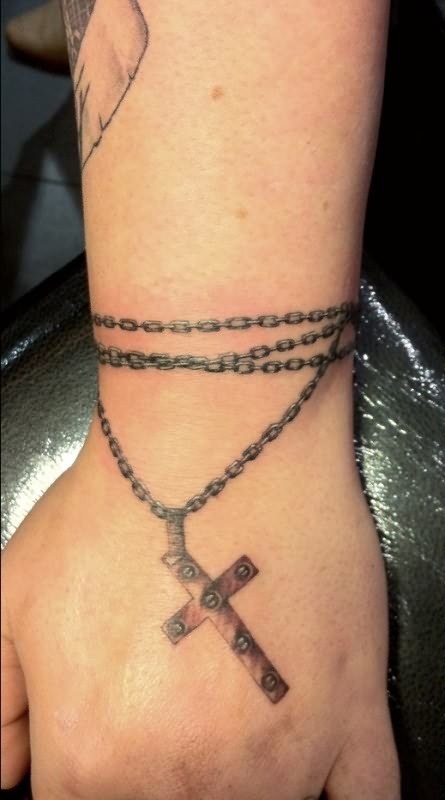 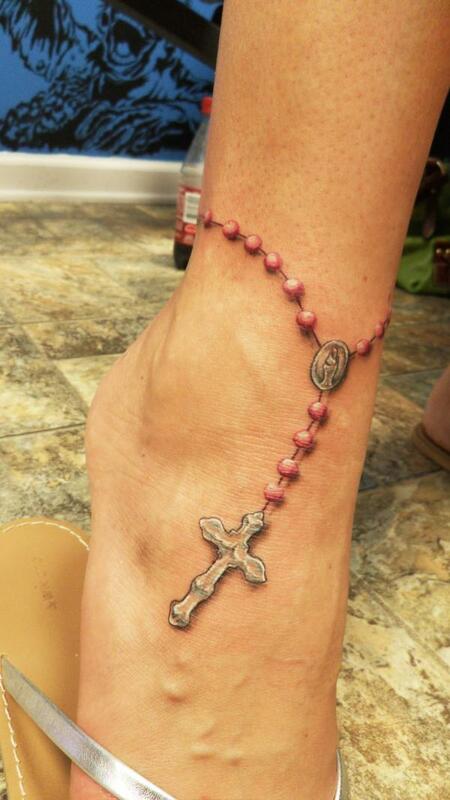 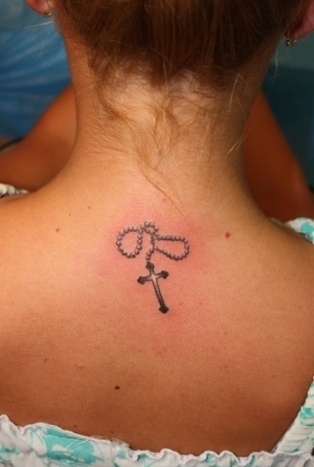 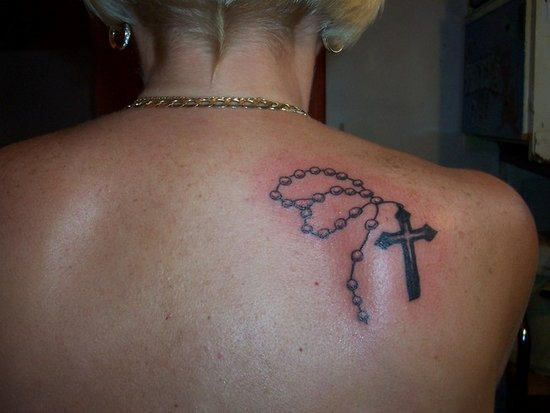 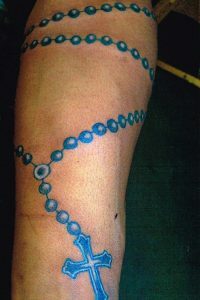 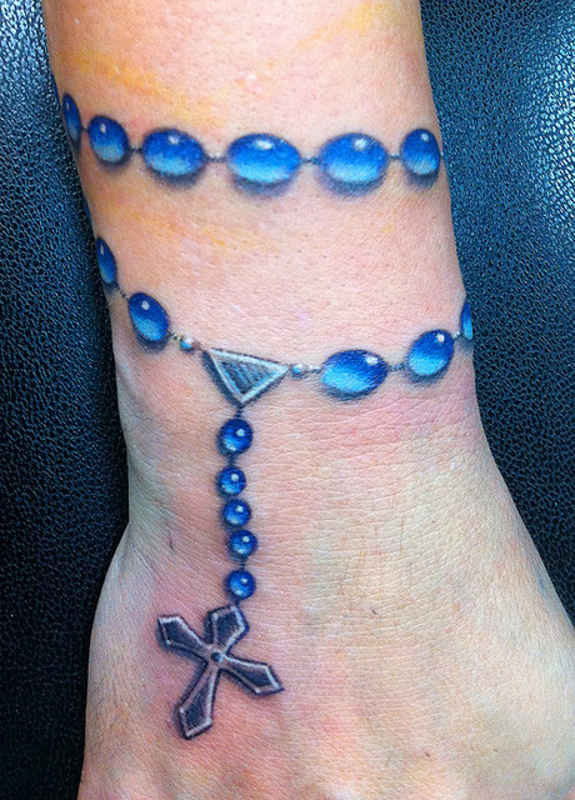 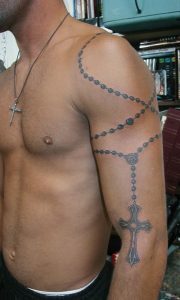 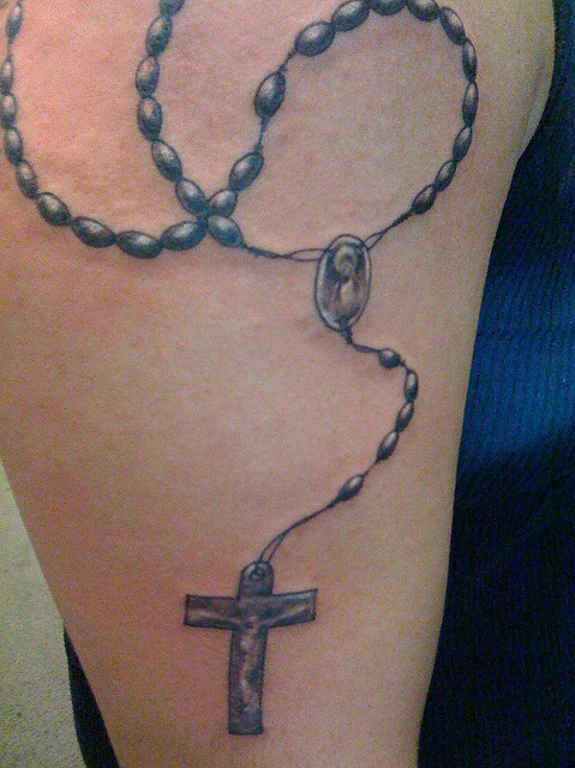 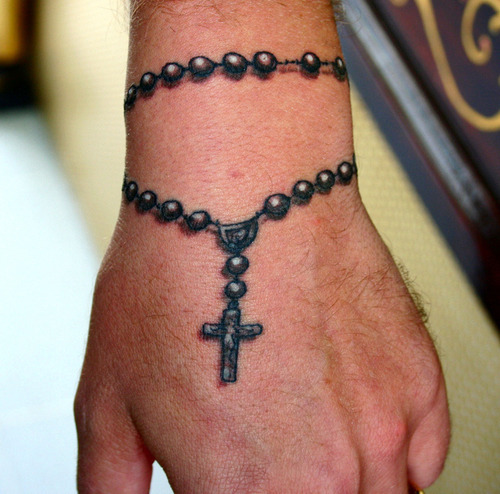 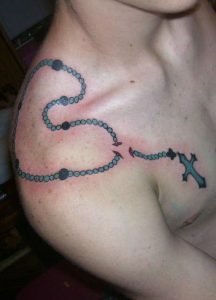 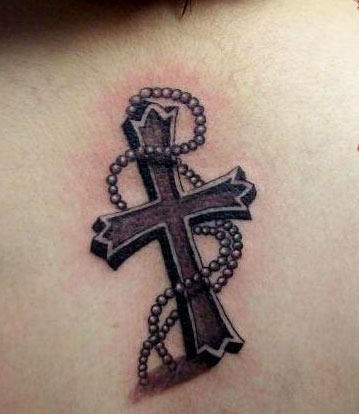 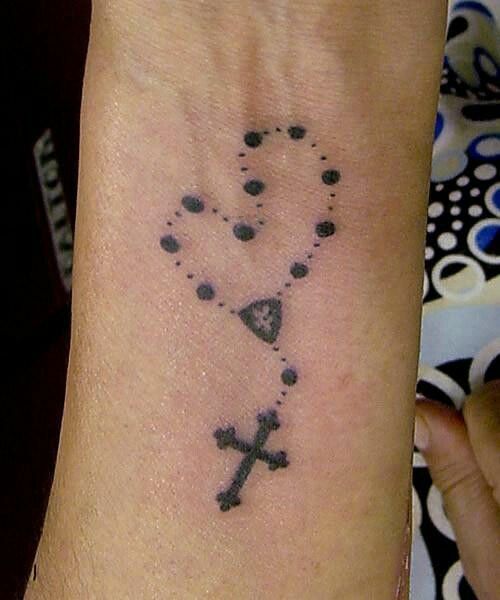 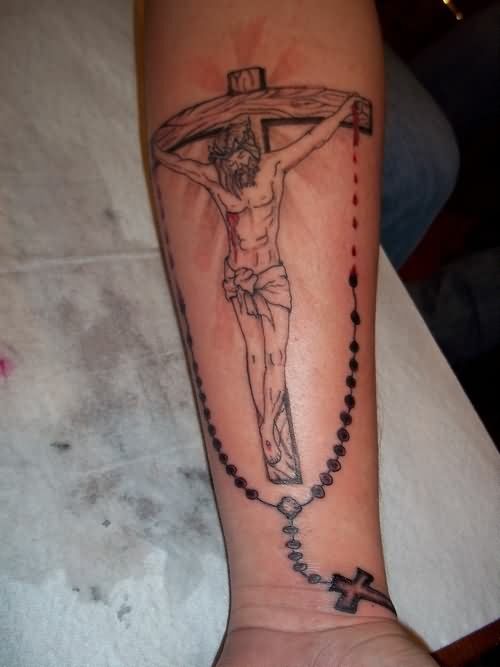 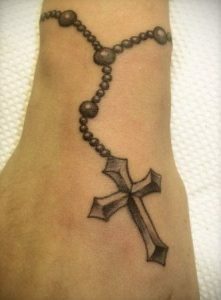 The rosary tattoo is an example of blending religious views with new age fashion style.Rosary is an integrated part of Christianity and is given major respect by Christian people. 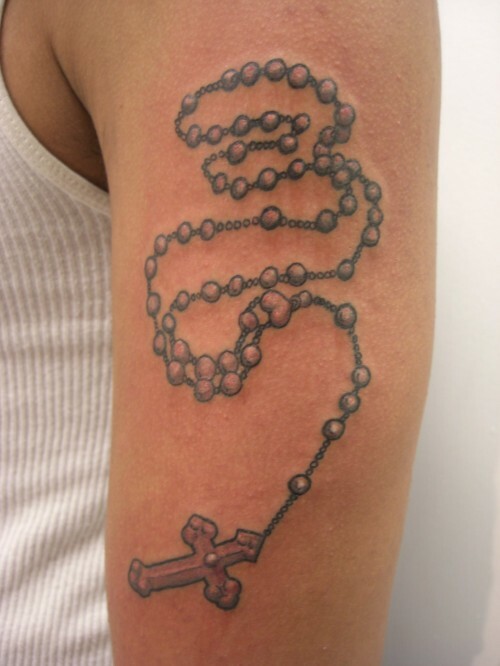 It has derived its name from the Latin word ‘rosarium’ that denotes rose garlands. 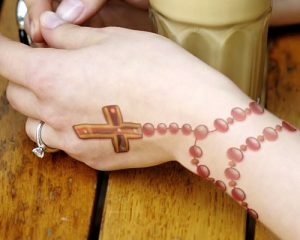 This rosary is used extensively by the catholic people who believe that by this medium their prayers will be heard and answered by the almighty. 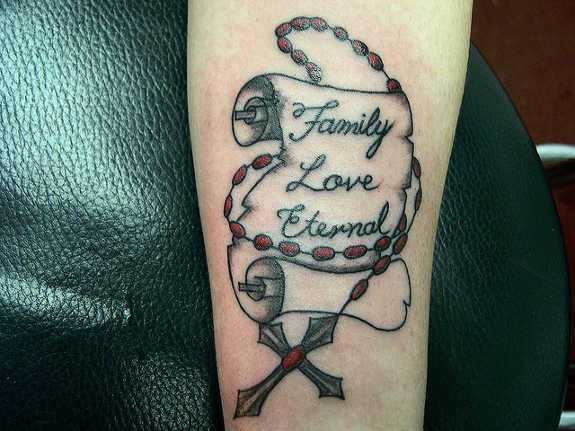 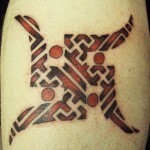 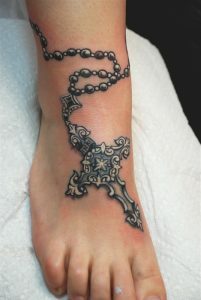 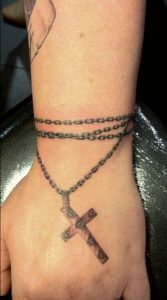 When it comes to the tattoo design, young people, as well as middle-aged individuals, love to sport this.